I like to watch the stats on my blog. This is an all-time view that shows May 2007 to the present. You can see how the cancer diagnosis in November exploded my audience. I'll do anything for attention. Ha! It was a long haul but, without revealing too much about my personal struggles, I am nearing the end of the journey. My therapy has been awakening, enlightening, liberating, and...incredible. I am so grateful that I stumbled onto Mary. My desktop is clean. 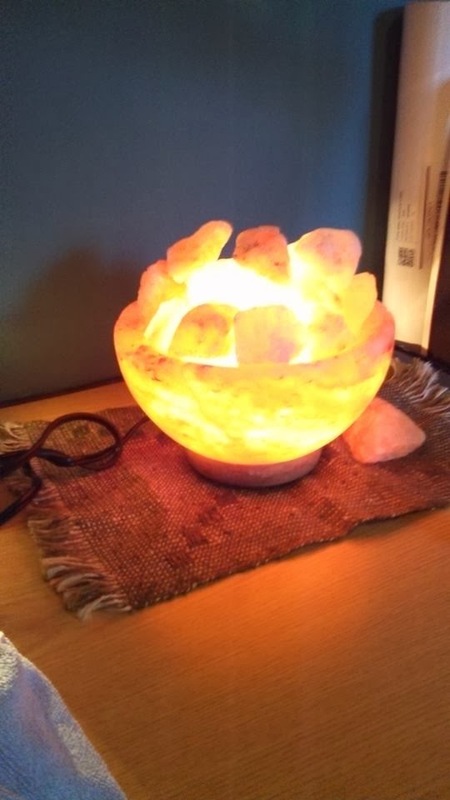 My new salt lamp is installed. My rune book, my notebook, my gratitude journal, all here for my morning routine. This rune has associations with the phoenix, the mystical bird that consumes itself in fire then rises from its own ashes. This rune is also symbolized by the flight of the eagle. Soaring flight, free from entanglement, lifting yourself above the endless ebb and flow of ordinary life to acquire a broader vision. This is the rune of questing. The renewal of the spirit is at stake. My gratitude journal entry for today. It's Thursday, November 7th. Tomorrow will be the anniversary of my diagnosis. I am grateful. I am grateful for the skilled and compassionate medical folks who took care of me so competently in the last year. They were like angels on earth. I am grateful for the spiritual awakening I have experienced with Mary through EMDR. I feel like I have come from chaos to clarity. I know the journey is never done but I have come a long way in the last year. I am grateful for the tools I have: light therapy, my runes, my salt lamp, my journal of gratitude, my blog, exercise. I am grateful for the dark early mornings when I can sit quietly, write, think compassionately about my life, and get ready to live this day.